Condition: Good. General age-related toning and some marginal tears. Please study image carefully. Overall size: 25.8 x 15 cm. Image size: 24 x 13.5 cm. 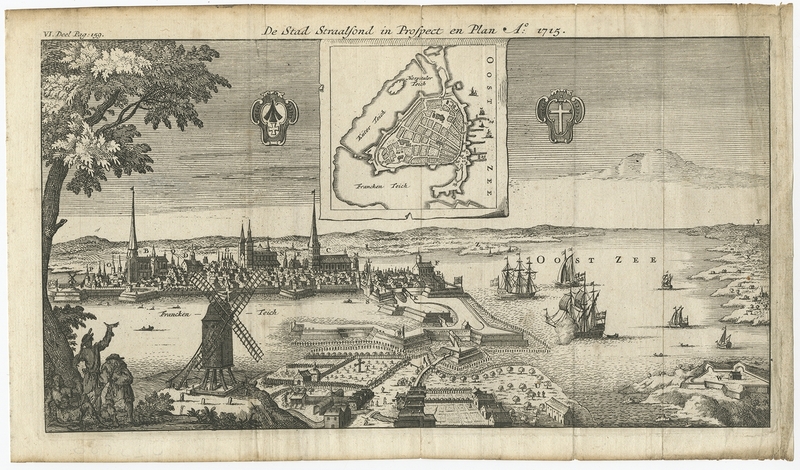 Description: Antique map titled ‚De Stad Straalsond in Prospect en Plan’. 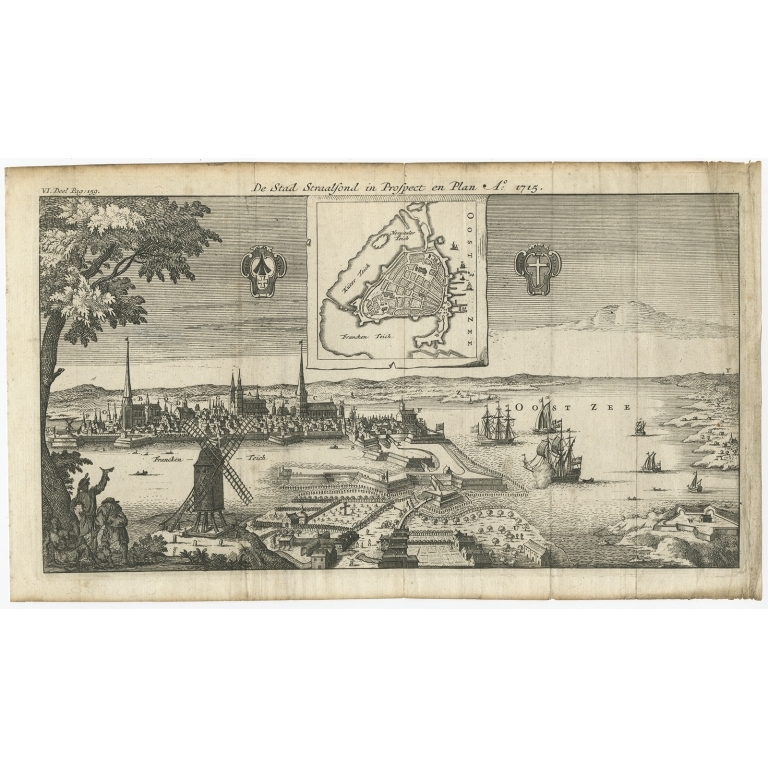 This map shows a plan of the fortified city of Stralsund and surroundings in Germany. Source unknown, to be determined.